Mixed flowers can be so beautiful. 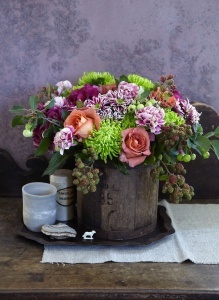 This combination of Chrysantemums, roses and berries, just in a cement pot. Simply stunning.